A critic and literary historian, professor, the Head of the Chair of Poetics and Literary Criticism of the Adam Mickiewicz University in Poznań. He authored and co-authored several books (the latest one – Horror poeticus. Szkice, notatki, 2012). The initiator and editor of about ten books dedicated to contemporary literature, including a series of studies of the work of such poets as Krystyna Miłobędzka (2007) and Eugeniusz Tkaczyszyn-Dycki (2012). 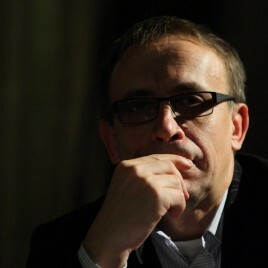 The curator of the Poznań of Poets Festival (since 2002), a juror (among others sitting on the jury of Gdynia Literary Prize and the Silesius Poetry Award), a permanent author writing for Tygodnik Powszechny.